Term insurance covers are a must for everyone who wishes to ensure the financial security of their dependent family members. All the top insurance companies in the market offer term insurance covers for the welfare of their customers. These term plans offer high-value coverage for an extremely affordable price. However, there is no maturity value associated with term plans. The premium you pay for term covers is for the protection offered to your dependents. You can easily determine the premium of a policy by using the premium calculator provided on the company’s official website. Finding out the cost of a term insurance plan is crucial for everyone who plans to buy it. The cost of term insurance is influenced by various factors like age, income, marital status, smoking habits, existing health condition, family medical history, etc. Premium calculators that give the price of products instantly are designed mainly due to the complex algorithm used in the calculation. It will be difficult for companies and individuals to manually calculate the price of these products. This is the main reason why companies provide premium calculators on their official websites. On the homepage, find the protection plans offered by the company. Click on the plan for which you wish to know the premium. On the plan page, click on the button ‘buy now’. This will open the premium calculator page for the specific plan. Once you have opened the premium calculator, enter your personal details like gender, date of birth, smoking habits, coverage type, sum assured amount, policy term, premium payment frequency, rider covers, etc. Once you have entered these details, the premium amount for the chosen cover will be displayed automatically. If you are satisfied with the policy, you may proceed with the purchase. There are plenty of companies in the market offering term insurance covers. Choosing the right one requires a lot of research. Comparing the different products available in the market will take a lot of information. During this comparison process, you can use premium calculators to narrow down policies based on cost. Another aspect of premium calculators is that they are effective in helping customers make informed decisions. Customers can improve their knowledge about specific products with the help of premium calculators and choose the right product that meets their requirements. Premium calculators save a lot of time and effort for potential customers. Rather than visiting the company for a price quote, customers can simply check the cost of the product online. This saves them a trip to the branch office and aids them in their decision-making process. Companies can reach out to a lot of customers with the help of premium calculators. They can market their products effectively and attract customers living in different parts of the country. This also saves a lot of effort for insurers as it would be tough for them to service every single customer manually. 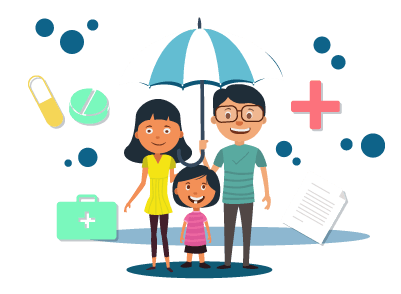 Most of the life insurance companies in the market have different variants of term insurance plans to provide service to customers with specific needs. With the right term insurance plan, customers can secure their future financial obligations and live a stress-free life. Premium calculators play a major role in this process by helping customers access the right product available in the market.